TAPE + SHIRT PACKAGE AVAILABLE!!!! 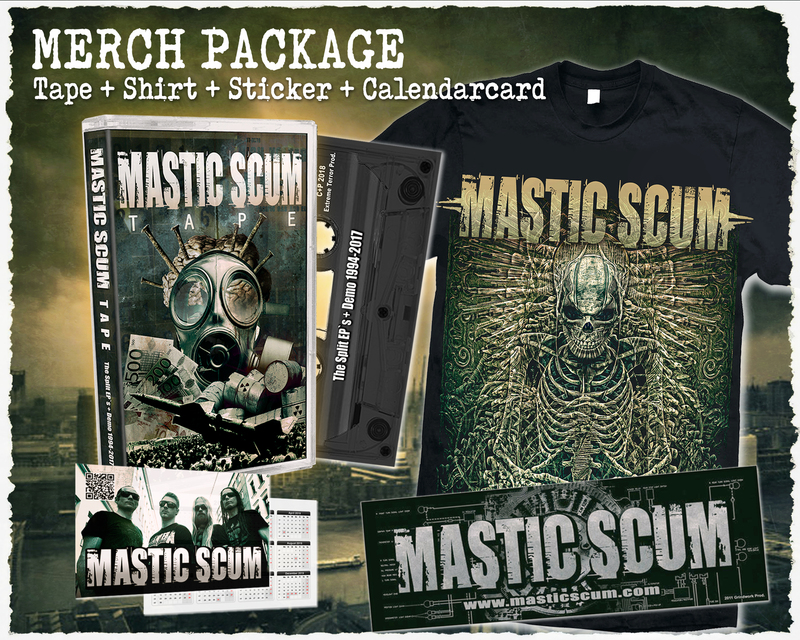 The "TAPE + SHIRT PACKAGE" is available now! 落落落 This package includes a Cassette, T-Shirt, Calendarcard and a Sticker. The order also includes the MP3 + Lyrics + Artwork download of 41 tracks! The new MC "TAPE" contains 41 tracks and all lyrics featuring all 6 Split EPs + Demo 10/94 + 2 Bonus Cover Tracks. Starting with the latest Split EP from 2017 with Head Cleaner, through the Splits with Rotten Sound, C.S.S.O., Blockheads, Malignant Tumour, Fleshless, to the Demo Tape from 1994. HARRY`S PLAYTHROUGH OF "VIRTUAL IRREALITY"
Check out Harry`s Guitar Playthrough of "Virtual Irreality" with his ESP/LTD MH-417 on his YouTube channel. NEW MC "TAPE" OUT NOW!!!!!! The new MC "TAPE" is out now! The cassette includes 41 tracks and all lyrics featuring all 6 Split EPs + Demo 10/94 + 2 Bonus Cover Tracks. Starting with the latest Split EP from 2017 with Head Cleaner, through the Splits with Rotten Sound, C.S.S.O., Blockheads, Malignant Tumour, Fleshless, to the Demo Tape from 1994. 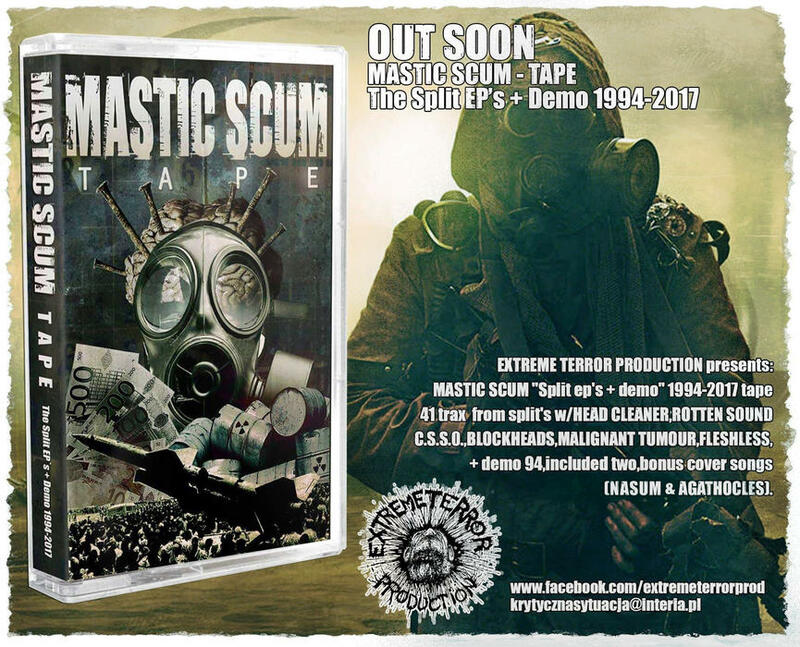 The tape was released by Extreme Terror Production. "TAPE" ARTWORK / PRE-ORDERS AVALABLE! HARRY IS ENDORSED BY ESP GUITARS NOW! Harry: "Today's a good day! ❤ I`m superproud to announce that i`m now officially endorsed by ESP Guitars! I feel honored and excited to be part of the ESP Artist Family. I've played ESP/LTD guitars for more than 10 years and call about 7 models my own. As i grew up with metal music and watched my idols, ESP guitars has always been my favourite guitar brand. I tried and used a lot of guitars in my life but ESP/LTD was and will always be my first choice in sound and design. So for me a dream came true, being a part of the ESP artist family now. BOOOOM! Believe in your dreams! Believe in yourself! Never give up! We have X-MAS SALE at our Bandcamp shop now! 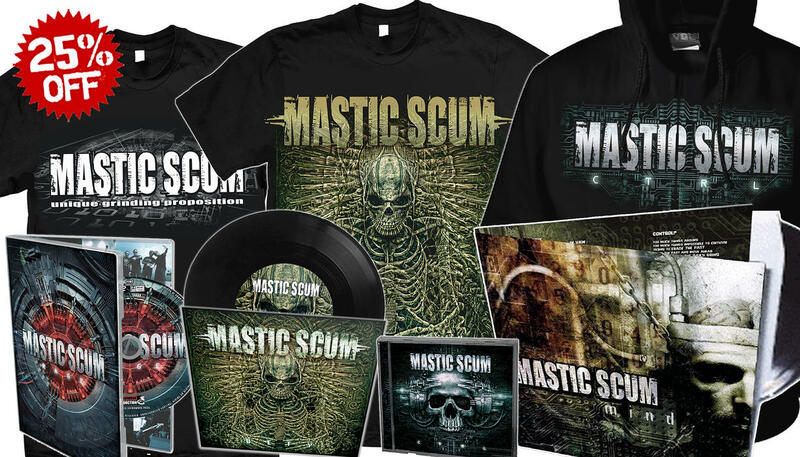 CD, DVD, vinyl, shirts and lot of other stuff. Just enter the code "XMAS2018" at check-out to get 25% Discount. Easy ordering via PayPal, Creditcard or Bank Transfer. HARRY`S "DYERS EVE" SOLO IS FEATURED AT WWW.ESPGUITARS.COM! NEW METALLICA "DYERS EVE" COVER ONLINE!!!!!! NEW METALLICA COVER ON ITS WAY!!!!! "Innocence torn from me without your shelter..." 落 New Metallica cover is on its way!!!!! Any clue which one???? … ooops we did it again??? … we are actually thinking about a new coversong!!!!! stay tuned!!! THX FOR SUPPORT TO SLAM WORLDWIDE!!!! NEW "INSTRUMENT PLAYTHROUGH" VIDEO ONLINE!!!!!! New "Instrument Playthrough" video "Virtual Irreality" is online now! The track was recorded at Grindlab Studio and mixed & mastered at Metalforge Studio. The song is taken from the actual EP "DEFY", the first release with the new bandmember Wolfgang Rothbauer on bass guitar. We are making a new video right now. We filmed a "Instrument Playthrough" version of a track from our actual EP "DEFY". The track was recorded at Grindlab Studio and mixed & mastered at Metalforge Studio in Vienna. The EP "DEFY" was released October 27th 2017 via Screaming Victims Records and is available as vinyl and download! More news coming soon!